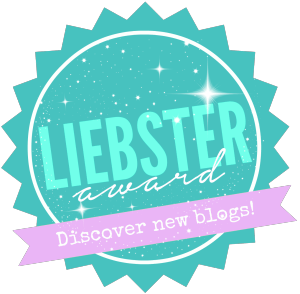 I have been nominated for a blogging award! I know, it was bound to happen. Only a matter of time. I had my speech already prepared. I would like to thank Piglet, my mother, my late father, my brothers, every member of my extended family, all my friends, anyone who has ever poked me on Facebook (what do you mean people don’t “poke” each other anymore???) everyone I have ever met, my imaginary publicist….. Anyway, enough of all that, let’s cut to the chase, I have been nominated for the above-pictured Leibster Award. No idea who or what it is named after but it is for discovering new bloggers and linking to their blogs. And I have been nominated twice, which is lovely but might make things a bit confusing as I now have two sets of questions to answer from the two people who have kindly nominated me. So as Rule #1 is to thank the person who nominated you and link to their blog, I would like to thank Mumma Knows and Five Minute Mummy for welcoming me into the parent blogging community and kindly nominating me. I am still a tragic spinster living in a dusty attic room in a yellowing bridal gown, waiting for my Prince Charming. Getting married before having children would have been quite literally Living The Dream, but Gabrielle lied, dreams don’t come true, so the best thing to do was just to have a baby with a sperm donor. I have to say I’m pretty happy with the result though. 2. Would you rather live in the country or the city? I’ve lived all my life in cities (various) so right now I would rather live in the countryside, vive la change, as they probably say in France. 3. Would you rather go to a big party or have coffee with a close friend? I’d go to a big party WITH my close friend, and then I’d have a coffee. After all the wine I would have at the big party, obvs. Honestly? Well, back in Ye Olden Days when I lived in Japan, I used to send what I thought were witty and entertaining emails zipping back across to the other side of the world over the Interwebs (which were then in their relative infancy) and one of my friends showed them to her parents. Years later, those parents suggested to me that I should start a blog, and I figured that if even my friend’s parents, who weren’t just humouring me like my friends probably were, found them funny, maybe they actually WERE funny. So I started a blog. That was in 2008 and my life (and my blog) was very different. In 2013 I started my current blog, to document my attempts at getting pregnant on my own, but it remained a private blog until about a month or so ago, so despite my having been blogging in one form or another for many years, I am still considered a relative newcomer. I literally have no idea, but if I was to put all the things that make me happy together it would probably be something along the lines of being on a beach next to the sea on a lovely summer day, looking fabulous, drinking wine, engaging in witty repartee with some fabulous friends, with my son asleep on my chest. Not that I don’t enjoy his company when he is awake, of course. 6. What do you do when your kids are napping? Drink wine and engage in witty repartee with my friends whilst sunbathing on an exotic beach and listening to the sea. But if there are no beaches available then I will quickly dash into the nearest Costa, have a latte and look at my phone. I know how to live life to the max. 7. What is your favourite thing to blog about? My son Piglet and his endlessly fascinating ways. Now for the questions from Five Minute Mummy. Blimey, this is exhausting. Why did you start your blog? See answers above. 2. What is your favourite place in the world? There are loads. Can I have a Top 100? 3. Who is your biggest style crush? OH NO I AM RUBBISH AT THIS. Again, there are loads. Shingai Shoniwa for generally being cool, Mary Portas, Victoria Beckham and Carine Roitfield for workwear, Gwen Stefani for hair and make up, Solange Knowles for wearing a caped jumpsuit at her wedding like an absolute boss, Susie Bubble for fearlessness, Kate Moss for all-round greatness. Loads more I can’t remember at the moment. 4. If you won the Lottery what’s the first thing you would do? 5. What’s the most useless item you’ve ever purchased? Anything that claims to get the dry skin off the soles of your feet. Nothing works. Nothing. 6. Do you love or hate Christmas and why? Both, in equal measure. It’s rubbish because it gets dark at like, lunchtime, it’s cold but never snows, and every magazine under the sun spends months telling you it’s the “party season” even though you haven’t been invited to any parties and MY GOD THERE MUST BE SOMETHING WRONG WITH YOU. WHERE ARE ALL THE PARTIES? On the other hand it’s amazing because you can listen to Mariah Carey every day even though in reality you would hate it if the lyrics came true and it really was Christmas every day, you can wear amazing 1980s Christmas jumpers and drink champagne at breakfast time. What’s not to like? 7. What’s your go-to beauty product? Blusher. And foundation. I didn’t discover foundation until I was 30. I wasted my entire youth not wearing foundation. That’s probably why I’m not married. 8. Who is your favourite high street retailer? Toppers. And American Apparel. Basically I don’t know why any other shops exist. 9. If you had one wish what would it be? Heels. Although I wore a pair of trainers the other day and I have to say it was a revelation. I was literally bouncing. 11. What is your best advice to someone starting a blog? Be careful what you write. Everyone can see it. Argh now I have to nominate some people. Not sure which blogs are new, so I have just listed some that I enjoy reading. What is the best thing to do with kids on a rainy day? What is your favourite fairytale and why? What, in your opinion, is the best TV show ever? If you were stranded on a desert island and could only take three things (other than a boat/other means of escape) what would they be and why? Who is your favourite person from history and why? Hey, I was just having a read and I spotted you’d nominated me! Nice one, thank you! I’ll be on it like a car bonnet tomorrow. Great questions. That was my worry too. I was convinced I would look like a member of the cast of The Only Way is Essex. Now I can barely leave the house without it. Haha, stalk away! Always good to have a new reader 😉 Thank you for commenting. Our blog was just nominated for this as well! Such a nice way to get more involved in the blogging world! Congrats!! Congrats on the award, isn’t it the best feeling ever when someone who knows how hard blogging really is thinks that you are pretty great? Congrats! Keep it up. It is lovely. I’m still amazed anyone even reads this blog! The blogging awards can be a bit time consuming but it is so nice to be recognized for our blogging efforts. I love the humor in yours and your friends parents were right 😉 Thank you for sharing this with #momsterslink. Hope to see you again tomorrow.